Most people are familiar, at least in outline, with the Hans Christian Andersen fairy tale "The Princess and the Pea." In the story, the Queen decides that it's time for her son to marry, and the Prince—apparently a very fussy young man—decides that he can marry only a true princess, as measured by her sensitivity to small discomforts. It's like being an audiophile, but with peas. One night, a young woman comes to the door claiming to be just such a princess. The skeptical Queen devises a test: She puts a tiny pea in the girl's bed frame, covers it with 20 of her finest eiderdown mattresses, and sends the girl to bed. The next morning, the young lady reports how poorly she slept because of that infernal object in her bed—by which she means, the Queen surmises, the pea and not something the Prince might have wielded in the night. The Queen is convinced that she has found her son the properly hypersensitive little bride. A wedding is arranged. 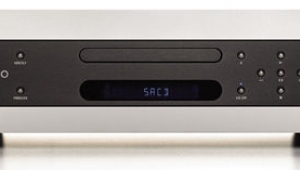 For those expecting a review of Marantz's SA8001 SACD player ($999.99), please be patient—I'm getting there. 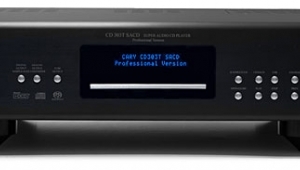 I've just spent several weeks doing my best to detect differences among three digital front-ends: the unit under review; Marantz's own, twice-as-expensive SA-15S1; and my Benchmark DAC-1 D/A converter (a more or less current version, with the recent Texas Instruments op-amps that some people say make the DAC-1 sound better than earlier incarnations). But weeks of comparative, level-matched listening through a decent system revealed only very subtle differences—so subtle that it took me weeks to gain any confidence that they were real. 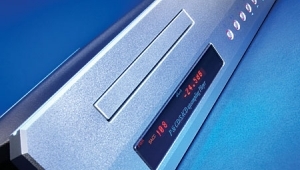 This is, of course, as it should be: all three are excellent players based on similar technologies (though the DAC-1's approach is distinctive) and playing the same discs. One would hope that they would converge on the same sound. Still, I can't help worrying that my conclusion—that they all sound very, very similar—won't sit well with some readers. All this effort with so little return got me wondering: Are we audiophiles princesses? For many, it's a matter of pride to detect the tiny effects of, say, absolute polarity, or of a certain interconnect. 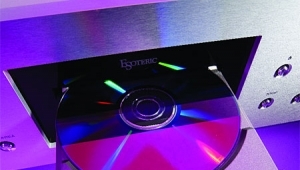 Some brag about how intolerable they find, eg, "Red Book" CD playback, or the characteristic sound of upsampling. But the Princess of the fairy tale doesn't make for a flattering self-image, which suggests a question: How can I be an audiophile without acting like a spoiled little princess? How does one demand quality while remaining the sort of person who, say, my grandfather—a gentle farmer who nevertheless could drown entire litters of puppies if he thought he had to, and meet whatever other challenges life doled out to him, save stomach cancer—would have respected? You can probably tell that I'm in a reflective mood, brought on not only by my reviewing struggles but with changes in my life I won't go into here, and all of which have led me to reassess my audiophile values. 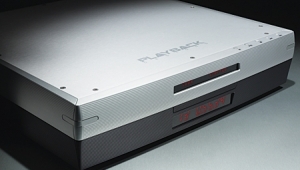 My conclusion: Audiophile values should mirror real-life values. I've concluded that the key to doing both—to discerning quality without acting like a spoiled little princess—is to take a certain approach. You mustn't force things or try too hard, and you must retain the capacity to tolerate, perhaps even savor, a certain amount of hardship and imperfection. 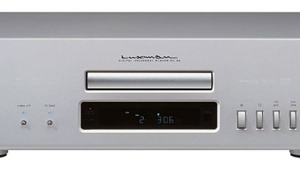 It's great to be able to enjoy the latest SACD recording on your slick $50,000 stereo system, but unless you aspire to princesshood, you shouldn't lose the ability to enjoy an old hillbilly song on an AM radio. You don't have to give up your aspirations to be satisfied with more humble things. Let's move on now to the component under review. But not to worry—I'll return to my digression shortly. 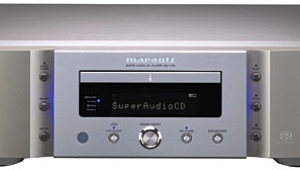 Marantz has consistently supported the SACD format, a fact for which we audiophiles have reason to be grateful. That they've consistently priced their players fairly is another cause for gratitude. 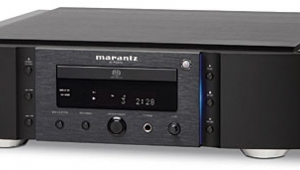 Marantz's emphasis on value is part of the reason I've bought two Marantz players in recent years. 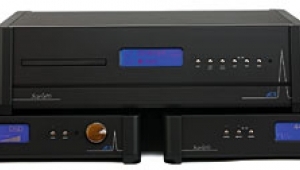 I bought a multichannel SA8260 after John Marks gave it a glowing recommendation in November 2002 and John Atkinson put it in Class A of Stereophile's "Recommended Components." 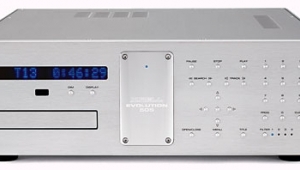 JM wasn't wrong—it was a fine-sounding player—but my SA8260 was fussy about what it was fed. 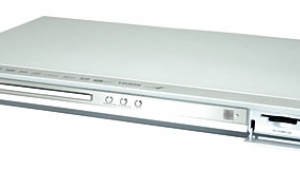 Some discs wouldn't play at all; others seemed to require a rest and a reset before they would play. A search of Internet audio forums quickly demonstrated that I wasn't the only SA8260 owner to experience "ToC reading errors." I don't care how good it sounds—$1000 for a player that won't play a good many of my discs is not a good deal. I want a player I can respect and depend on. See? Real-world values applied to audio. My next Marantz player, which I still own and enjoy, was an SA-15S1. It's a beautiful thing, silver with a blue glow, and very well put together. 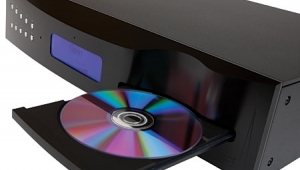 It sounds very good—smooth and lovely—and not once has it failed to read a disc. Yet its display window is very reflective, which makes the display hard to read except in low light, and it has the same kind of flimsy plastic drawer found in all but desktop computers and all but a very few expensive players. 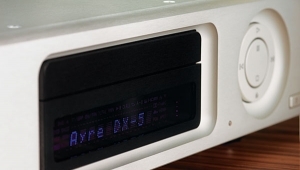 These two things together suggest a certain slickness; my SA-15S1 is a very substantial player, but for me, the designer's ratio of prettiness to utility is a little high. Still, it remains my current standard. Which brings me, finally, to the player under review. 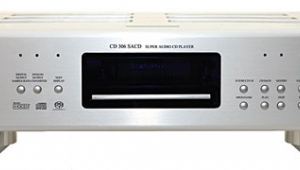 The SA8001 is a two-channel-only SACD and CD player. It's less pretentious than the SA-15S1, decked out in basic black with a few pieces of faux-gold costume jewelry (name plates, buttons, SACD emblems). 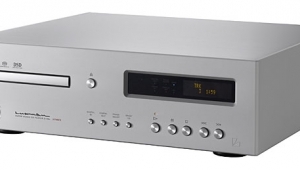 Technically, it looks pretty similar to the SA-15S1, and despite its lower price, the SA8001's specs are slightly better than the more expensive player's. The SA8001 has a toroidal transformer, whereas my SA-15S1 has a shielded, laminated (IE) type; toroidal should be better. 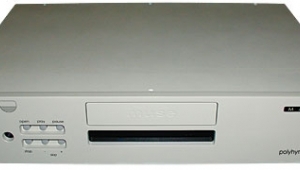 They use identical DVD-ROM drives as transports. The SA-15S1's DAC board looks more elaborate, but both use 24-bit/192kHz upsampling designs (for "Red Book" playback) based on Cirrus Logic's 4397 chip.